Having caught out with the very late frost last year I have delayed the sowing of outdoor crops by two weeks which has allowed me more time to get the polytunnel better organised. We have used reservoir trays for the tomatoes for a few years now and, by maintaining the compost moisture levels, they have proved effective at minimising blossom end rot. For the first time, we are also trying some miniature french beans in the same system. 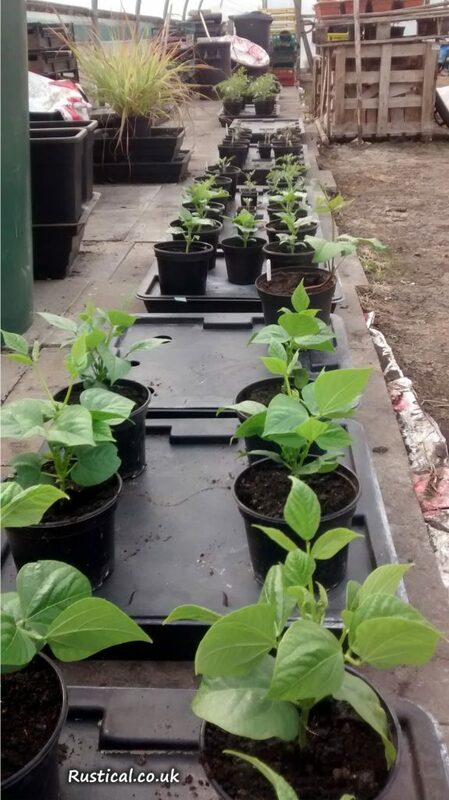 A tray is reserved for some Clive Bevan long runner beans which hopefully will provide a competitive entry for the longest runner bean category at the Hesketh Bank Village Show. In the top left of the photo you can see a tray of lemongrass which has overwintered without protection in the polytunnel and is now bursting with life.